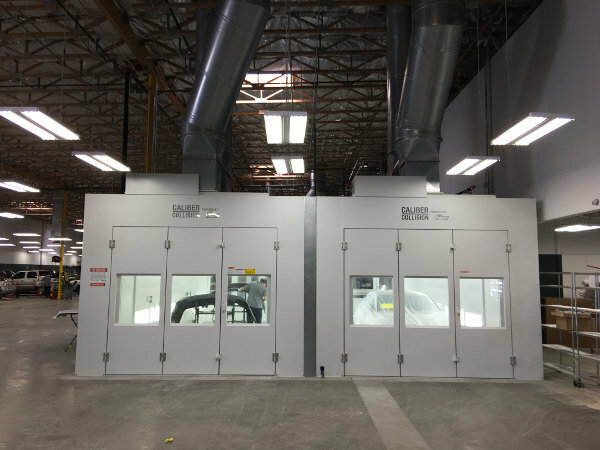 Las Vegas, Sin City itself, often presents regrets and stories of indulgence for many who experience its many wonders. 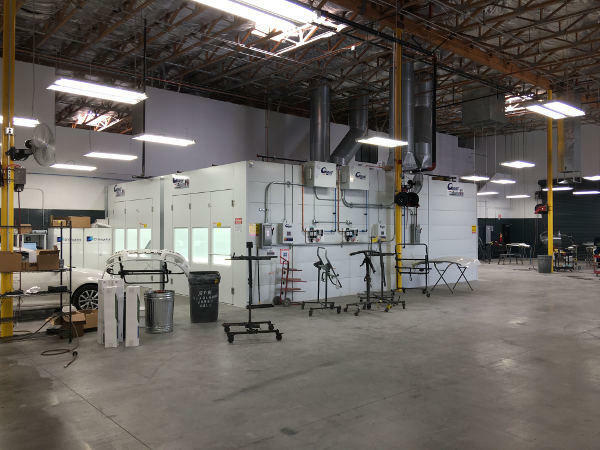 However, such fears should not exist when repairing your car at the new Caliber Collision in North Las Vegas. 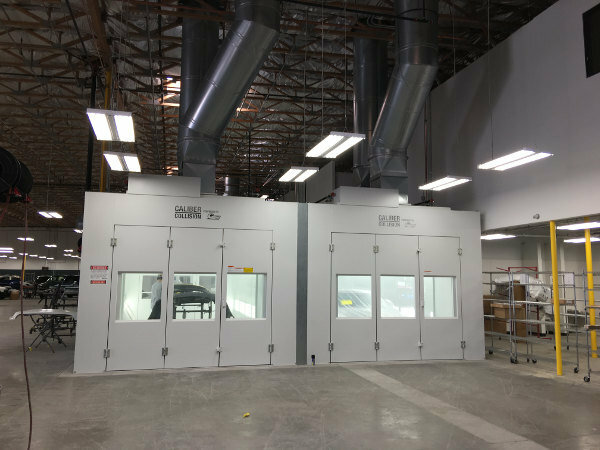 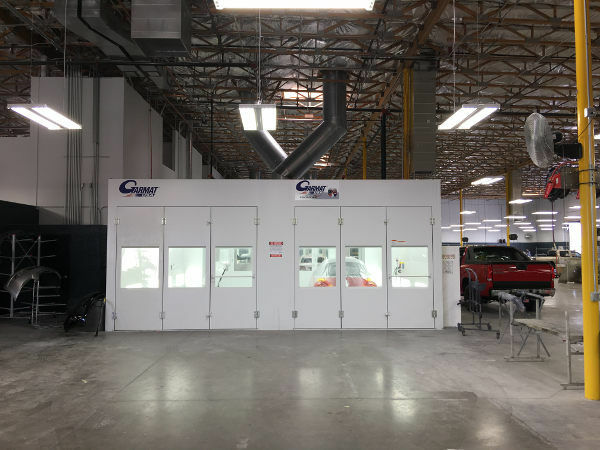 Rely-On Technologies recently worked with Caliber in launching an auto body shop, fully assembled as part of a clean-air installation initiative. 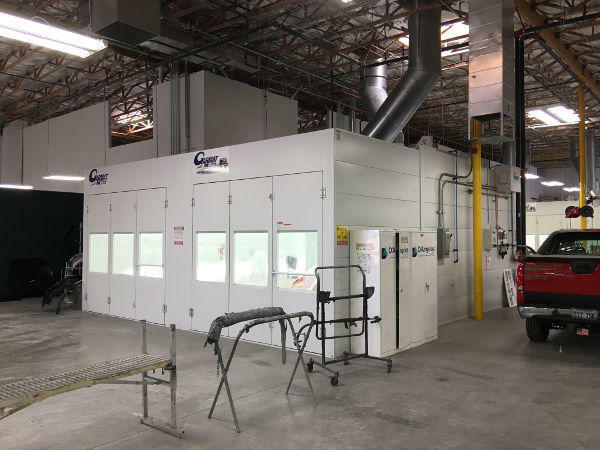 Caliber contracted Rely-On for one double-frontier prep station, two downdraft spray booths, and one mix room—all of which provided by the highly regarded GARMAT USA. 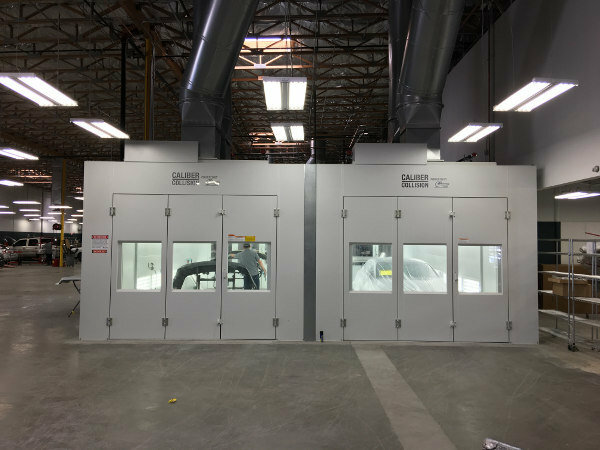 However, this successful endeavor proved itself as a road less traveled when working with the state of Nevada. 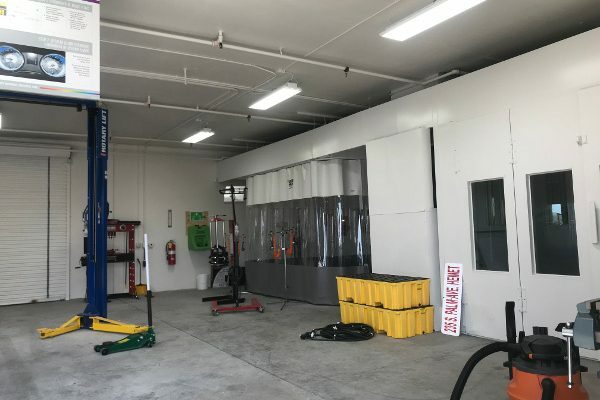 As fully licensed general contractors in Nevada, the Rely-On team faced many obstacles during the installation process as they sought all permits for the equipment, including those required for sprinklers, gas, and electrical wiring for the store. 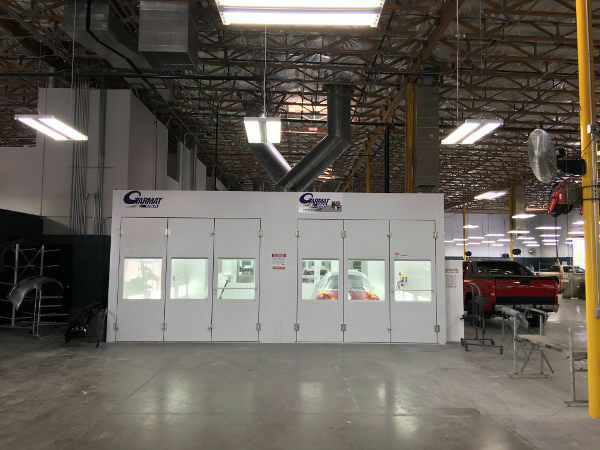 During this process, the state proved especially particular as Caliber looked to convert an unoccupied brown-field location (i.e., convert an empty building) into an innovate body shop many customers know them for. 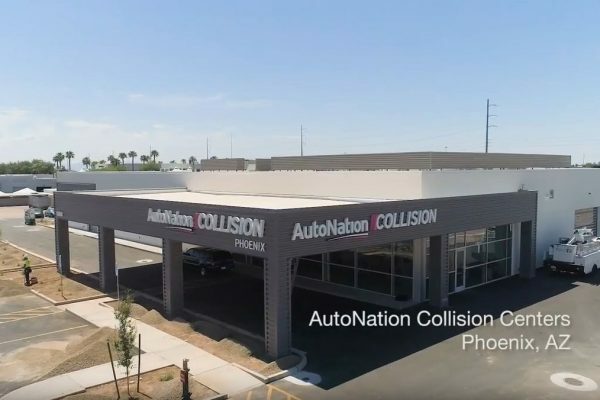 Correction after correction, Rely-On’s team spent many days and nights in the store’s community—reflecting their dedication to the client—and pushed through to complete the project in the time they committed to Caliber. 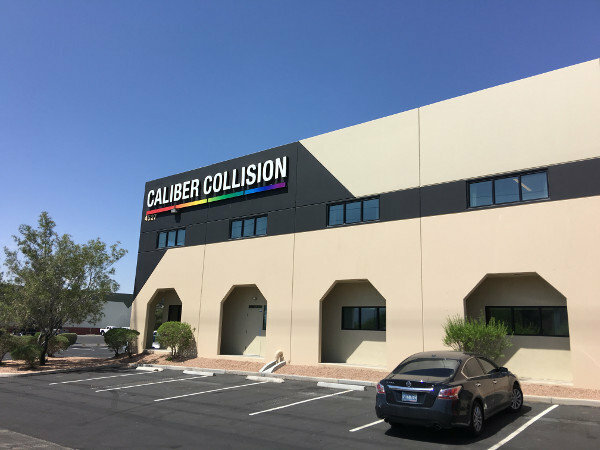 Ultimately, Rely-On finished the project on time and under budget, allowing the new North Las Vegas Caliber Collision branch to meet its anticipated grand opening within thirty days. 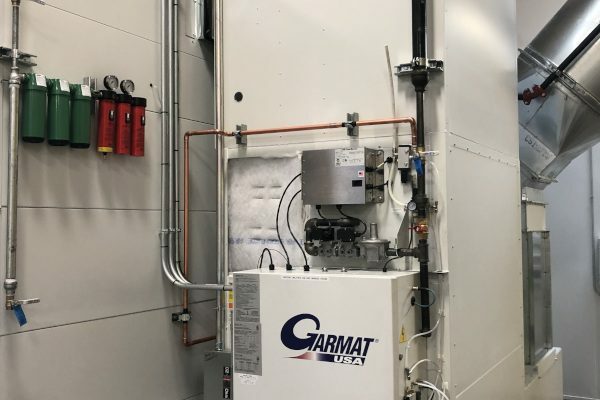 Despite the work Rely-On’s team carried about in this installation, they relied on many local engineers to expedite the process. 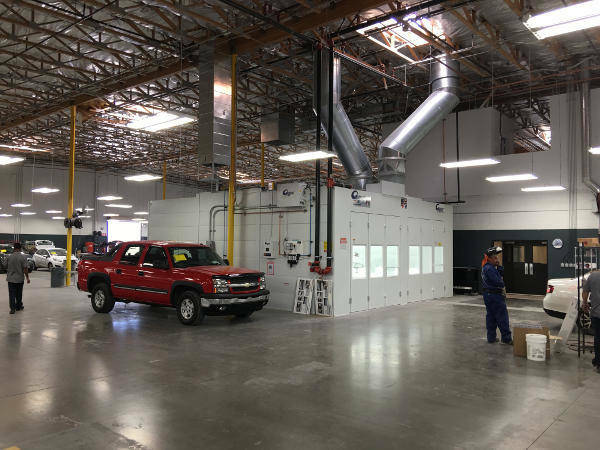 Rely-On prides itself with contracting local Las Vegas electricians, plumbers, and sprinkler technicians to not only complete the project, but also to support local economies. 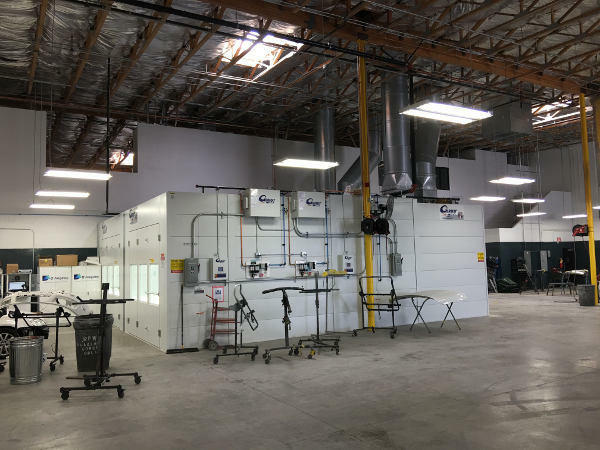 These partnerships gave Rely-On the advisement its team needed when confronting issues presented by the city while educating local contractors on how to develop work in their own communities.